Beautiful gifts I wish I had brought more. Luv them every one loved them. 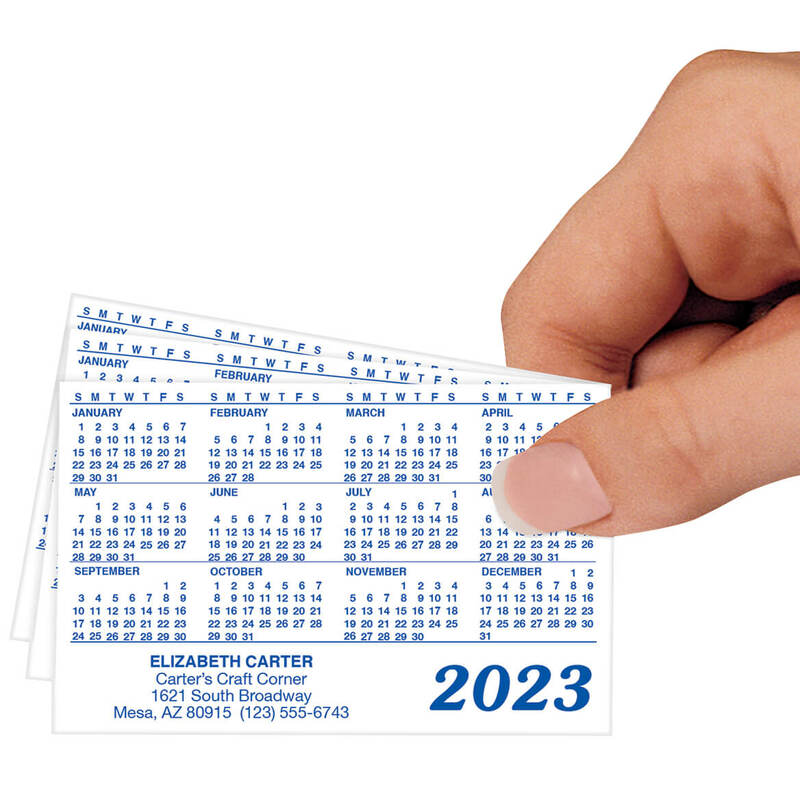 I love these little refrigerator magnet calendars. This little calendar is so handy to put on the side of my frig where I will see often. The picture makes me smile too. Please bring the kittens picture back. That was my favorite. 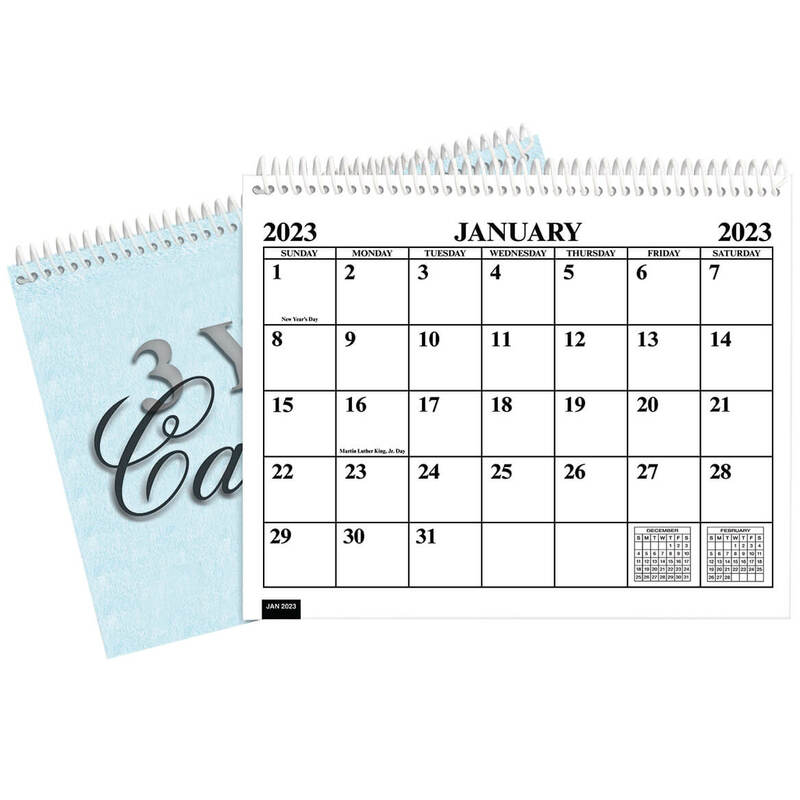 This is awesome small magnetic calendar. I sent out with a greeting card by mail to my family and friends. I Have Bought These Over Them. Yes I Have Used These Over The Years For A Few Years I Would Put Then Christmas Cards Each Year. But Now I Buy For Myself. Liked it and the saying. Because it"s a beautiful prayer. I like to have a small calendar in my car. I like to have Inspirational calendars. 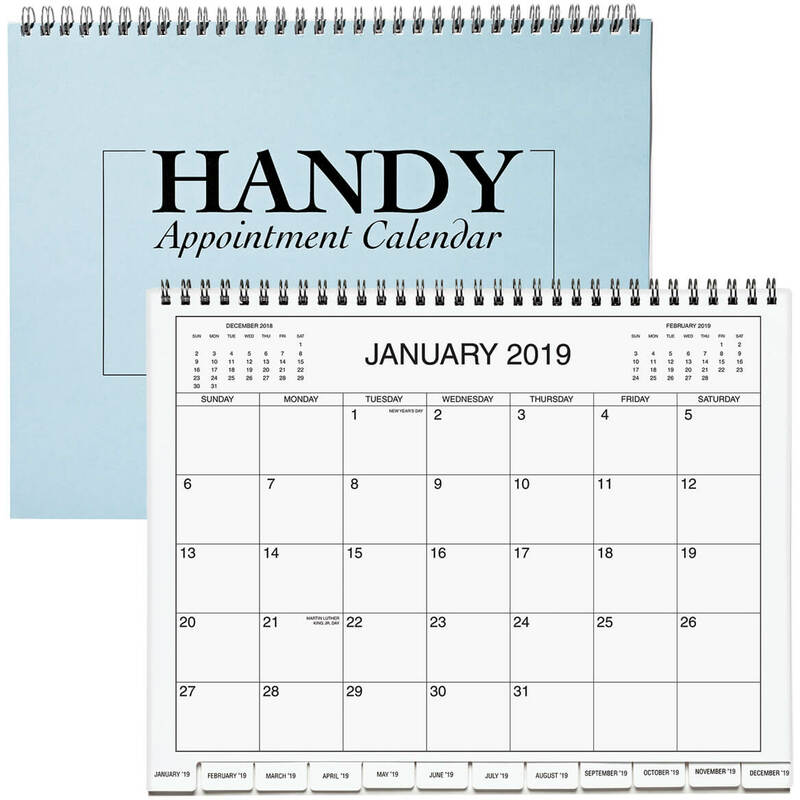 The calendars make wonderful Christmas gifts. Two are for me, my office and my car, the other two are for dear friends of mine. 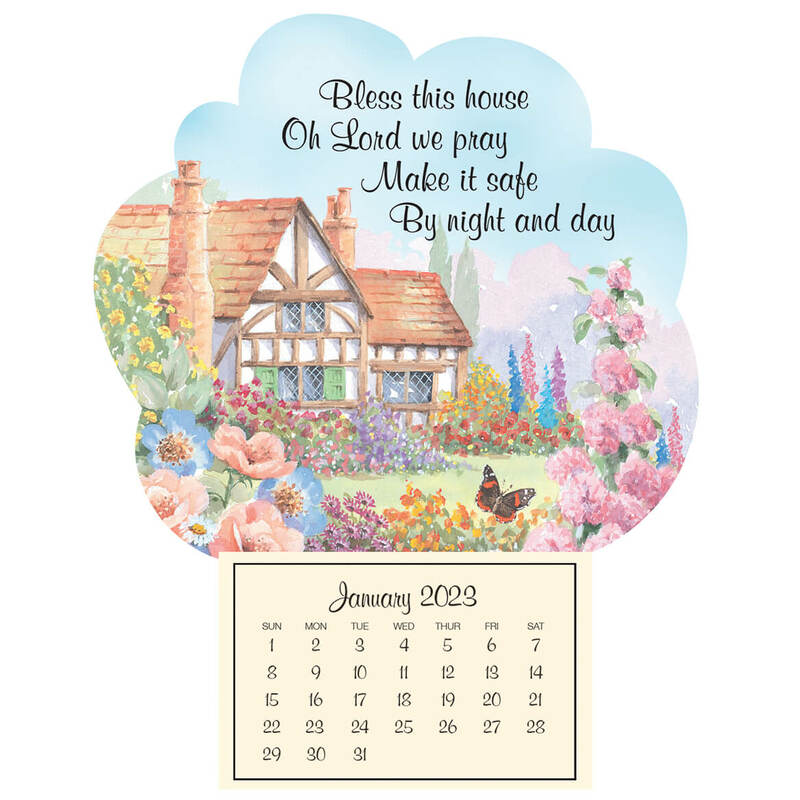 I chose the mini magnetic calendar called "Bless This House" because of the beauty of the scene, the soft pastel colors and the blessed words written on it to read all year long. I love these little calendars; I look forward to them. These minis are very handy to put on the frig. Because I like the saying and the magnetic calendar it self. I will be putting it on my fridge. Great products and easy to shop. ANY WORDS THAT EXPRESS JOY/LOVE/POSITIVITY TO ME AND MY SURROUNDINGS IS ALWAYS A GOOD CHOICE! Very handy to see what day it is. Chosen every year for its 365-day message. 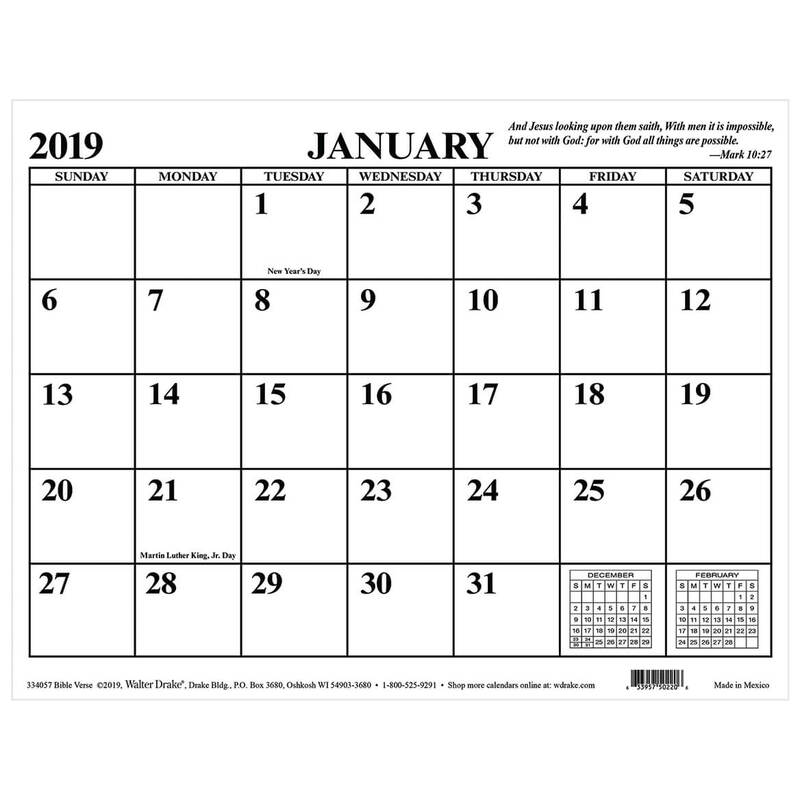 I've been using magnetic calendar and it works well on my refrigerator. I have purchased them before and really liked them to give for small gifts. Pretty and my sister in law sent me some one year and I really liked them. My granddaughter just moved into a new home. My children & I love having them. when will this "Bless This House" calendar be available? BEST ANSWER: Thank you for your question. 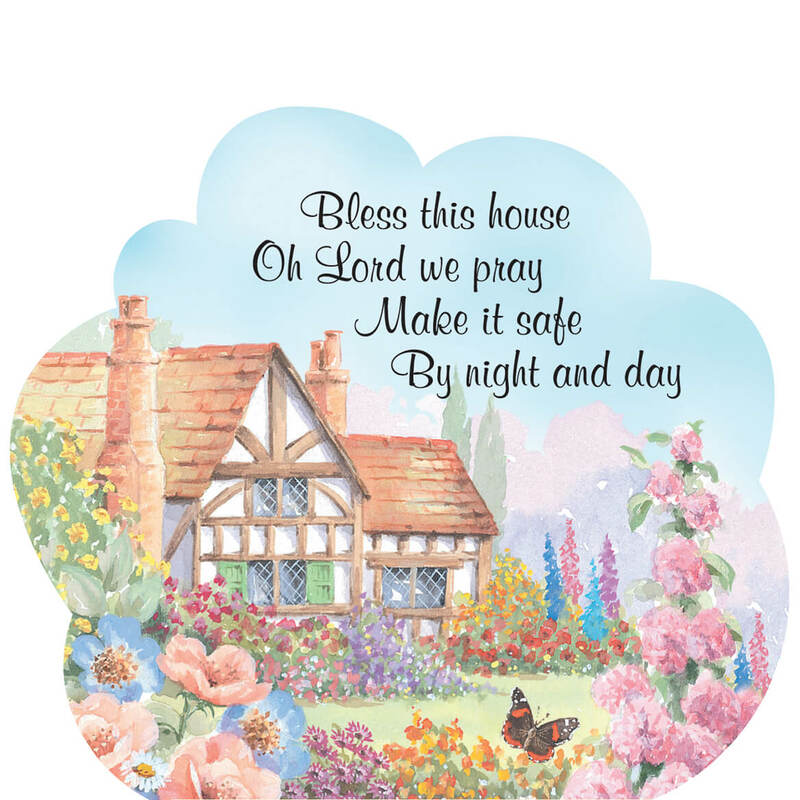 The Bless This House Calendar will be back in stock at the end of June. We hope this information will be of help to you. Do you have 2018 calendars already? BEST ANSWER: Thank you for your question. Yes all the calendars will be 2018. We hope this information will be of help to you.